Flexible multicore cable is mainly used in control panels and machines for dump and dry interiors according to the different environmental conditions of industries. 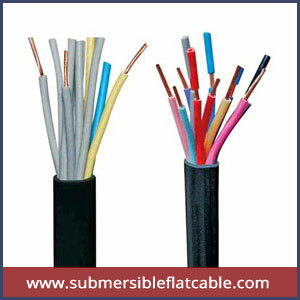 Flexible multicore cable is insulated with PVC compounds. These flexible cable manufacturer help working in different temperatures, their normal working temperature is -20 to 70 degree centigrade and high working temperature is 20 to 90 degree centigrade. Their working voltage grade is 1100 volts and test voltage is 3000 volts. They have good resistance to thermal shock and available in various colors.